Kill certain insects that eat them. 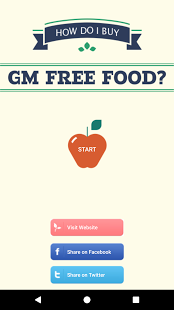 The GM toxins produced in the plants can’t be washed off the food. Despite Industry claims that GM crops reduce the need for pesticides, the opposite has occurred. In the US GM crops have caused an increase of 383 million pounds in herbicide use in the U.S. over the first 13 years of commercial use (1996- 2008). 'Globally, glyphosate use has risen almost 15-fold since so-called "Roundup Ready", genetically engineered glyphosate-tolerant crops were introduced in 1996. Two-thirds of the total volume of glyphosate applied in the U.S. from 1974 to 2014 has been sprayed in just the last 10 years". Glyphosate is the most widely used pesticide worldwide and is a probable carcinogen and is linked to numerous health problems including birth defects. The repeated spraying of GM crops with pesticides has created GM super weeds which need increasing doses of weed killers and more toxic poisons to kill the weeds. New GM crops are being sprayed with 2,4-D, an ingredient in Agent Orange, as well as Dicamba and Glyphosate (Roundup a probable carcinogen). In 2017 in the US, Dicamba sprayed on the new GM crops drifted onto other crops and harmed them with at least one million hectares being affected. Argentina saw a huge increase in birth defects, infertility and cancer after it introduced GM soy in the 1990s. "The Argentine government, ... restructured its economy around GM soy grown for export, most of which goes to feed livestock in Europe. In 2009, GM soy was planted on 19 million hectares - over half of Argentina’s cultivated land - and sprayed with 200 million litres of glyphosate herbicide. Spraying is often carried out from the air, causing problems of drift. In 2002, two years after the first big harvests of RR soy in the country, residents and doctors in soy producing areas began reporting serious health effects from glyphosate spraying, including high rates of birth defects as well as infertility, stillbirths, miscarriages, and cancers . Environmental effects include killed food crops and livestock and streams strewn with dead fish [2, 3]." Argentinian doctors are deeply concerned about how GM soy is "sickening and killing human populations in agricultural areas". Monsanto is being sued in the US by farmers and others who claim to have developed cancer due to exposure to Roundup. The court case has reveated collusion between regulators and Monsanto, Monsanto's distortion of science, Monsanto ghostwrote its supposedly independent safety review, it orchestrated a fraudulent campaign to get Seralini's study retracted (now republished) and it employs an army of trolls and relentless PR to attempt to silence any critical voice. The case is revealing that the original approval of Roundup was based on studies from "The Swamp", a lab where animals were so badly treated they died and decomposed in their cages. Scientists swapped dead animals and made up data. The lab was eventually closed for fraudulent behaviour but none of the chemicals, including Roundup, that were approved were retested. Australia's GM Canola crops are also 'Roundup Ready Crops'. Insect killing GM (bt) toxins harm animals, are found in human blood, have never been proved safe and have caused super pests to develop. GM (bt) crops kill insects by creating a toxin that destroys their stomachs. This toxin can't be washed off and is present in every cell of the GM plant. It is not the same as the natural bt toxin found in soil and can kill beneficial insects and has unknown effects on us. Test animals fed GM bt have damage to their guts, immune system and male reproductive organs. A Canadian survey found bt toxin in the blood of pregnant and non-pregnant women. GM bt crops claim to reduce pesticide use. They may need less pesticide sprayed on them but the GM plant itself becomes a pesticide, creating toxins as it grows and releasing them into the soil and streams when it dies. GM bt crops are often coated with a neonicotinoid seed coating that is a pesticide and linked to the decline of bees. GM bt crops do not reduce pesticide use but change how it is administered, from spraying to becoming a pesticide plant growing from a pesticide coated seed.